Since 1957, Hunterdon Transformer Company has provided full project responsibility for custom design, engineering and production of one-of-a-kind transformers and specialty magnetic devices in the range of 10 VA to 10,000 KVA, for current carrying capacities of up to 100,000 amperes, and frequencies from 50 Hz to 10 KHz. Over the years, some people have called us "the transformer company's transformer company." With good reason, too: Many of our customers are transformer manufacturers. That's right! When their design or production departments could not meet a customer's unusual requirement, these transformer manufacturers came to us. We've solved their problems, too, while earning an enviable reputation as one of the world's leading manufacturers of specialty transformers for all kinds of applications. Hundreds of organizations depend upon our products for their daily production operations. Likewise, so do the reputations of Original Equipment Manufacturers, contractors and other associated firms. We'd like you to count on us, too, to meet your needs with fast response time for specialty transformers, regardless of the application. Our reputation in the United States and throughout the world is built upon special engineering capabilities and fast response times. Hunterdon product acceptance is the result of a unique combination of features, many of which are not available anywhere else. Put our design capability to the test. Challenge us with tough specifications, and ask for special physical configurations. We'll deliver a transformer that fits your requirements exactly, in less space, without the need for field adaptation, conservatively designed and rated for long, trouble-free service. The Quality Management System of Hunterdon Transformer Company meets the requirements of the international standard ISO 9001. This system addresses the design, development, production, and delivery of the company's products. 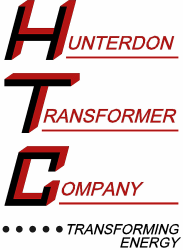 In 2004, Hunterdon Transformer Company purchased the intellectual property of Tech-Tran Corporation including the designs, specifications, patterns and equipment. Don MacMillan, Tech-Tran’s Vice President of Engineering, joined the Hunterdon team & shall continue to supply your quality transformer needs at the same sizes, and specifications as before. This combination will service the needs of our new and existing customers by providing an important source for replacement transformers while at the same time offering a wide range of choices for new designs and new applications.